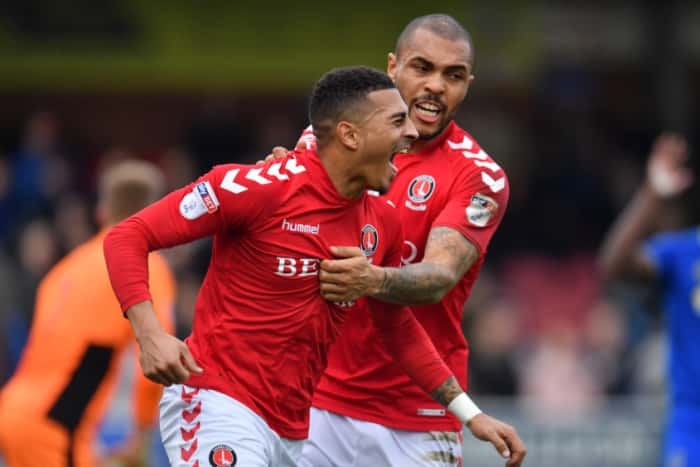 Time is running out for Steven Gerrard to step up his interest in Charlton’s Karlan Grant after Huddersfield moved in on the on-fire League One hitman and looked close to securing the 14-goal striker. Gerrard brought in Jermain Defoe this window but elected to let Ryan Hardie back out on loan, leaving him with just three senior strikers, only Alfredo Morelos of which appears a reliable and definite solution, with juries being very much out on what the England cap will bring to Rangers for now. And Grant, 21, has been sensational at the Valley this season in League One, notching up five assists to his impressive goal tally as well, leaving him as a bargain signing for anyone willing to shell out a couple of million for the U21 England international. And right now that looks like Jan Siewert’s Terriers. Gerrard was heavily linked with interest in the ex-Cambridge loanee, but if he is to be serious, there remains less than a week of the window and the EPL side have stolen a march. If this link is true - why ? Why do we always want to take a risk. What about young Scottish players, a new Kris Boyd or Kenny Miller. What is wrong with Shankland at Ayr ? What was wrong with Clark now at Dundee Utd ? Why do we have this habit of signing players and then playing them out position ? No doubt Ally McCoist would fail under this management team ? This is a team game and apart from the odd game, teams with striking partnership have always do everything well. One looks at envy at Manchester Utd and what Ole Gunnar Solskjær has done. Would a new manager get the best out of this current Rangers squad? Are supporters really happy with all the results SG’s management team is achieving? - likely to win nothing this season again - big well done to the board ! Would a couple of million for Grant be more of a risk than Shankland for peanuts. Both are a risk, both are young and both play at a lower level. If I was forced to choose one I would favour Shankland who has scored more over a longer period, though it is a lower standard than Grant. Problem is not the striker, the problem is getting the ball to the striker! A couple of million ? We have just had a director “calling time” on loans and a pundit talking about administration again! We are still wasting money on foreign players who want to go back home after Pedro’s reign being backed by the Board.